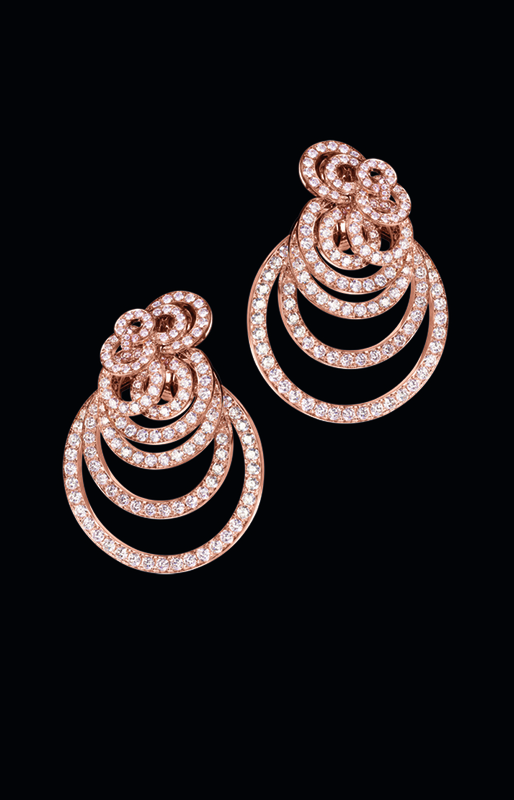 Seductively sensual, flamboyantly feminine, the de GRISOGONO signature circle dances to a new, vibrant rhythm. Feel free to match your mood with a choice of gems or the pure sheen of gold, and to change from exuberant to discreet, by removing two of the larger hoops. Be capricious.